The past year has been an exciting time to invest with Groundfloor, and to borrow from us. From 2015 to 2016, we originated 125% more loans and saw a 424% increase in investments on our platform. We are often asked how we select the loans that are presented on the platform. The underwriting team uses a variety of standard industry metrics, a proprietary credit model, and a healthy dose of judgment garnered over decades of investment experience (in both up and down cycles) to decide which loans get approved. While there are many factors to consider when making a loan decision, two stand out above all others: 1) the principal, in other words, the person behind the project and 2) the property. Let’s take a deeper look at both. #1 The Principal: What Kind Of Borrower Does Groundfloor Select? The principal’s experience, borrowing history, track record and background are all assessed in the underwriting process. Groundfloor conducts a credit and background check on every principal to ensure our standards are satisfied. Some are automatically disqualified in this first step. Once a principal clears this first hurdle, an assessment of their real estate experience is made. We do a thorough analysis of what type of projects the principal has been engaged in, how long they have been involved in real estate investment and development, and in what capacity have they been involved. Furthermore, we want to be confident the principal understands the market in which they want to invest. What local preferences and customs must be considered? Is the market subject to seasonality or some other effect that may impact the ability to secure labor or the best time to market a property? This is the point in underwriting where principal related factors merge into property related factors, our next topic. 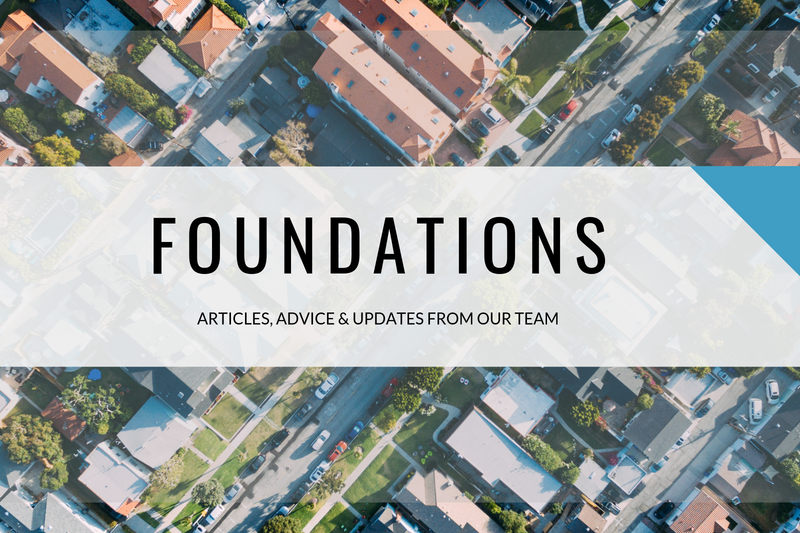 #2 The Property: What Kind Of Properties Does Groundfloor Fund? Each loan is subject to a renovation budget and schedule that is approved by Groundfloor. In reviewing the budget we can assess the principal’s familiarity with construction and scheduling, and if the scope of work is consistent with market standard finishes. As a lender, we need to ensure we are neither financing the over-improvement of a property, nor undercapitalizing a project. When we think about the property, we take a broad view beyond just the physical structure and its actual location. We also place emphasis on the broader submarket dynamics. A fundamental consideration for any lender is the exit - how quickly and easily can the loan be paid off in the event of a problem? Several determinants to this question are market activity, property compatibility, property condition at loan origination and post renovation condition. Once we reconcile to a current property value and an after renovation value, we can then use standard loan metrics to determine how much to lend. 5260 South Landings Drive, a loan that is currently funding on our platform, is a good case study. The Principal in this loan is David Helm with CalCap LLC. David has over 35 years in the fix and flip industry. In fact, it’s a multi-generational family business, with his wife and kids also actively working in the market. With his years in the business, David focuses on multifamily, apartment/condo complexes and land development. Solely working on opportunities in Utah and Florida, he has a keen understanding of local and state market trends. 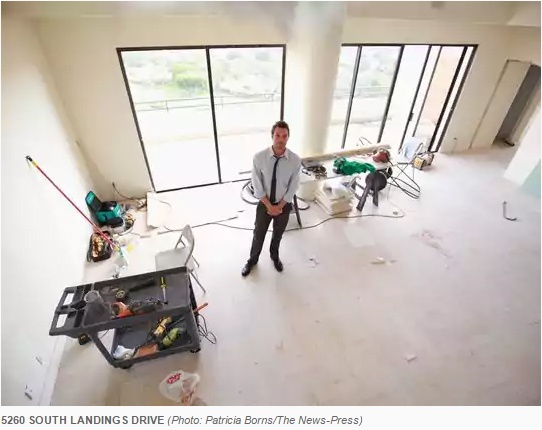 Helm and his team (along with this project) were just featured in News Press. We actively seek loans in markets that will perform well. We generally do not approve applications in challenged areas, even if from strong principals. David Helm takes a similar approach, and the property at 5260 South Landings has strong market tailwinds: the median price is on the rise and there’s stable demand for the location due to its proximity to the beach. Along with location, we reviewed comps and valuations of other units. With 5260 South Landings, the surrounding units have sold comparatively well, giving us additional confidence. In fact, unit 1708 sold in December 2016 for $755,000. Compared to Groundfloor’s collateral, the sold unit was substantially smaller and has fewer baths (however it did have superior views). The initial loan disbursement is equivalent to $62/sf, providing for a well margined loan. We hope you’ve found this informative. In future posts, we plan to highlight more properties and share additional examples of how our internal underwriting process is applied to produce the loans appearing in our offerings to investors. Please use the comments section to post any questions or comments, or email me directly at rich@groundfloor.us. We always appreciate opportunities to hear what you think.